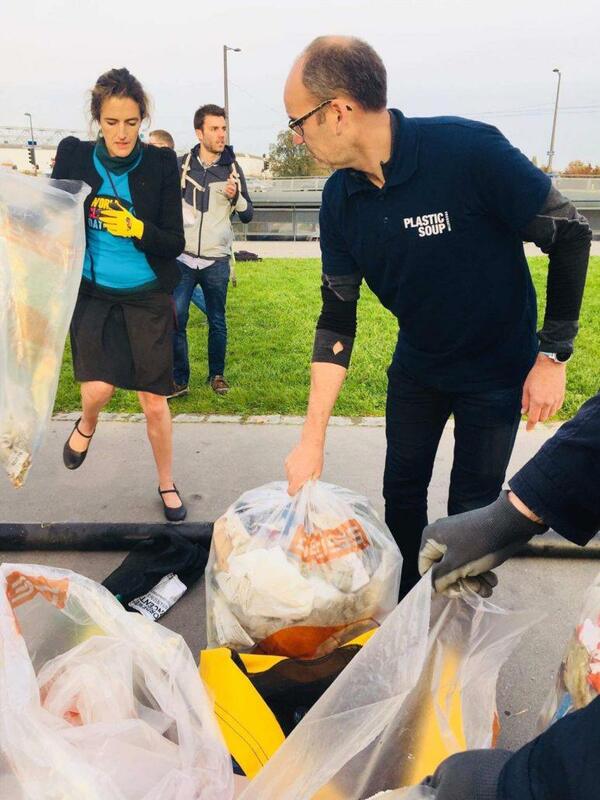 The cleanup in Strasbourg was co-hosted by Plastic Soup Foundation. 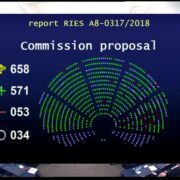 “This voting is very important and it’s the first important step in Europe towards reducing plastic by law. We keep our fingers crossed for the outcome of the voting”, says Maria Westerbos, director of the Plastic Soup Foundation. In total, over 500 liters of waste was collected, in less than 30 minutes. “Unfortunately, waste is everywhere, and we are so used to it that we do not even see it. Participating in a cleanup is actually the most efficient way to overcome this trash blindness. Once you have, you will see waste everywhere, in your street, along the highway, on the beach,…”, says Anna Gril, from World Cleanup Day France. The impact of plastic pollution on public health is unknown at this time. 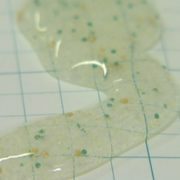 ”As microplastics act as magnets to pesticides, detergents and other toxic materials that are spooled in our oceans, we can assume that this intake of microplastics will prove to have a negative impact on our wellbeing. What we do know is that microplastics are massively found in food and drinks we consume regularly: salt, fish and drinking water, hence even in our beer! 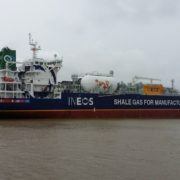 ” says Thomas de Groote, coordinator of the Strasbourg Event. 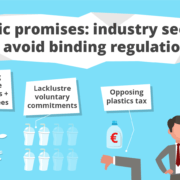 In the last months, the European Parliament has been even more ambitious than the Commission in increasing all its proposals with regards to the fight against single use plastics (SUP) for which Member States will have to impose a reduction in consumption. 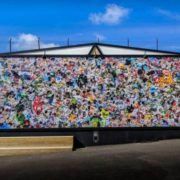 Frédérique Ries has extended the list of prohibited SUP from 2021 (cotton swabs, plates, cutlery, cutlery, straws and balloon sticks) to ultra-light plastic bags, to packaging and mulching in oxodegradable plastic, and to food and drink containers made of expanded polystyrene. In addition to these products, an ambitious reduction target of 50% by 2025 and 80% by 2030 also applies to cigarette filters. Strengthening also the EPR (Extended Producer Responsibility) regime with the affirmation of the polluter-pays principle: the idea here is to shift the burden of financing, collecting and disposing of waste from public authorities to producers. The ENVI committee furthermore introduces quantified targets for the collection and recycling of fishing gear. In addition, it also requires the tobacco industry to contribute financially to the collection and processing of cigarette butts, which occupy second place on the sad podium of the most common SUP on the beaches. 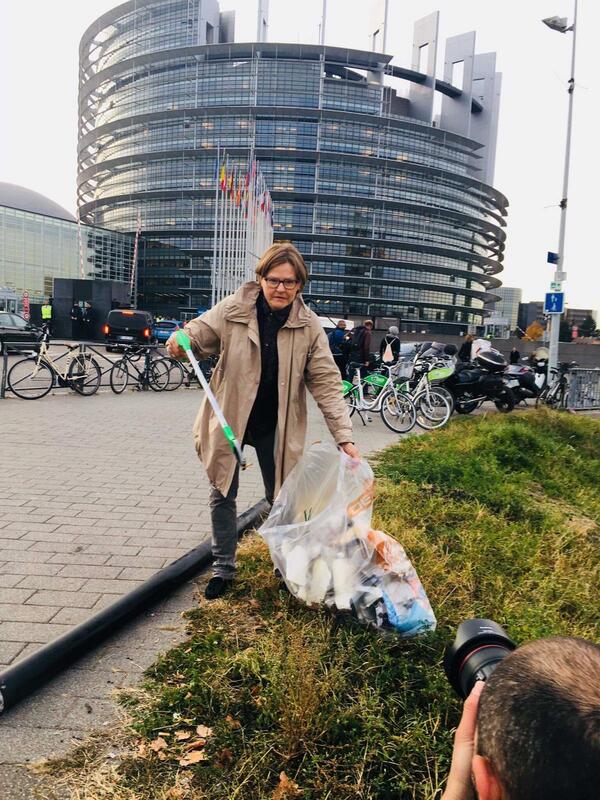 The MEP and Vice-President of the European Parliament, Heidi Hautala, also joined the cleanup. Europe is clearly responsible for only a small part of the plastic pollution of the oceans. 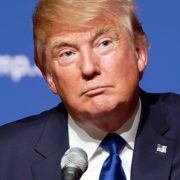 On the other hand, it can, and must be a major part of the solution, take the lead at the global level, as it has done in the past in the fight against climate change. 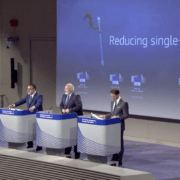 Prohibit, reduce, tax, but also replace, warn… Member States will have the choice of weapons. It is up to them to make good use of it, it is up to us to force ambition. 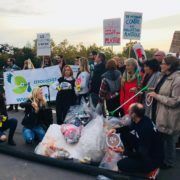 Citizens are expecting one thing from the European Parliament this Wednesday at noon: that we adopt the most ambitious legislation against single-use plastics. For the environment, for future generations, for the millions of mobilized Europeans who observe us and are ready to consume differently. 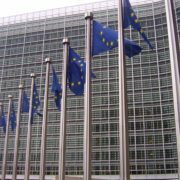 It is essential to protect the marine environment and reduce the environmental damage bill from plastic pollution in Europe, estimated at 22 billion euros until 2030. The event took place on Tuesday October 23rd from 8-9am in front of the European Parliament Building in Strasbourg. 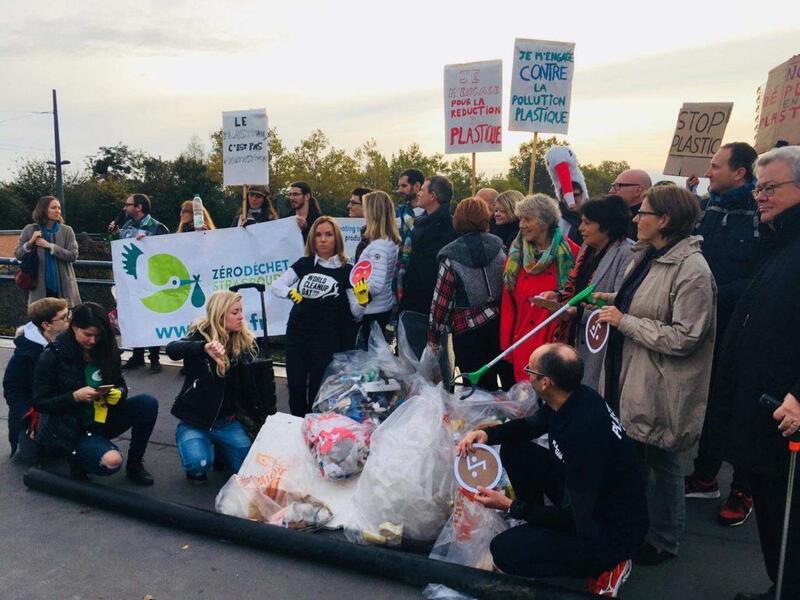 It was hosted by World Cleanup Day and co-hosted by Frédérique Ries (ALDE), Margrete Auken (Greens/EFA), Simona Bonafè (S&D) & Angélique Delahaye (EPP) and joined by Heidi Hautala (Greens/EFA and Vice-President of the European Parliament), Marco Affronte (Greens/EFA), Reinhardt Butikofer (Greens/EFA), Marc Demesmaeker (ECR), Michele Rivasi (Greens/EFA), Marc Tarabella (S&D), and Yannick Jadot (Greens/EFA). 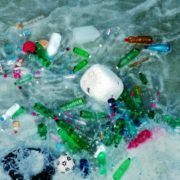 THE BIG DISPUTE: RECYCLE OR REDUCE PLASTIC?